Special Counsel Robert Mueller’s investigation into Russian interference in the 2016 presidential election found there was no conspiracy involving Donald Trump or his campaign, but drew no final conclusions about whether the president obstructed justice, according to a much anticipated summary of the probe sent Sunday afternoon to Congress. 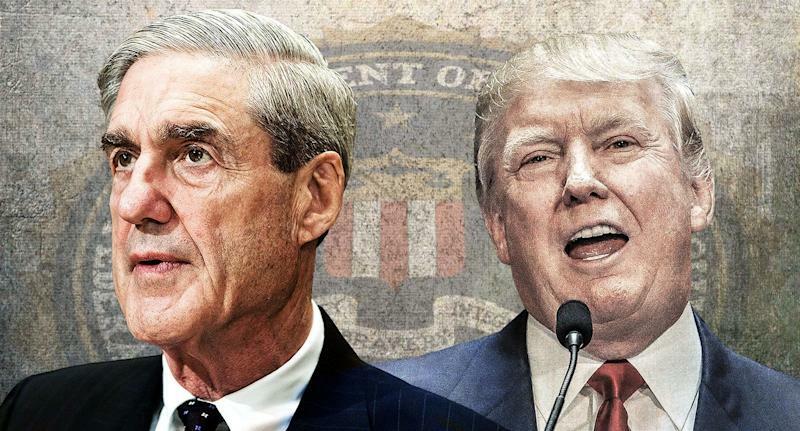 “The special counsel did not find that the Trump campaign, or anyone associated with it, conspired or coordinated with the Russian government in these efforts, despite multiple offers from Russian-affiliated individuals to assist the Trump campaign,” read the four-page letter by Attorney General William Barr summarizing “principal conclusions” of Mueller’s investigation. The letter was sent to leaders of the House and Senate Judiciary Committees Sunday afternoon, two days after Mueller delivered the confidential report to Barr. President Trump and his supporters greeted the report’s conclusions as a complete victory. “After a long look, after a long investigation, after so many people have been so badly hurt, after not looking at the other side where a lot of bad things happened ... it was just announced there was no collusion with Russia, the most ridiculous thing I've ever heard," Trump told reporters before he boarded Air Force One in Palm Beach, Fla., where he finally broke his silence days after the end of the two-year investigation into possible collusion between his campaign and the Russian government. “No Collusion, No Obstruction, Complete and Total EXONERATION. KEEP AMERICA GREAT!” he posted on Twitter. In fact, Barr’s letter went on to say, "The special counsel states that ‘while this report does not conclude that the president committed a crime, it also does not exonerate him.’"
The White House, however, is touting the report as an exoneration. “The findings of the Department of Justice are a total and complete exoneration of the President of the United States,” tweeted White House Press Secretary Sarah Huckabee Sanders after Barr’s letter was released to the public. Rudy Giuliani, a Trump attorney, said Mueller's findings were "better than I expected." Donald Trump Jr. in a statement to the New York Times’s Maggie Haberman took a similar position. “After more than two years of non-stop conspiracy theories from CNN, MSNBC, Buzzfeed, and the rest of the mainstream media, as well as daily lies and smears coming from Democrats in Washington, the Mueller Report proves what those of us with sane minds have known all along, there was ZERO collusion with Russia,” the statement read. Trump Jr. argued that instead of apologizing to Trump, “collusion truthers” were going to “double down” moving forward. “In light of the very concerning discrepancies and final decision making at the Justice Department following the Special Counsel report, where Mueller did not exonerate the President, we will be calling Attorney General Barr in to testify before @HouseJudiciary in the near future,” tweeted House Judiciary Committee Chairman Jerry Nadler, who Sunday morning said he would fight to have the full report released to Congress and the public. The report had two parts, according to Barr’s letter, one investigating Russian interference and the other evaluating potential obstruction of justice by Trump. While the probe found there was no collusion between the Trump camp and Russia, no conclusion was drawn on possible obstruction, leaving it up to the Barr to decide whether to move forward with charges. With the investigation completion, Democrats and presidential candidates are calling for the full report to be released to the public, a process that could take months of fighting in Congress, or a potential challenge in the Supreme Court. On Friday, Barr notified Congress that, in addition to sending his summary, he intended to "consult with Deputy Attorney General Rod Rosenstein and special counsel Mueller to determine what other information from the report can be released to Congress and the public consistent with the law."